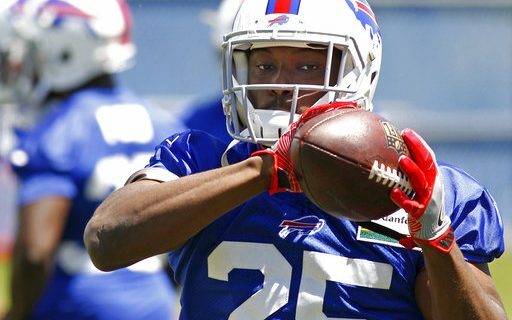 The breaking news story Tuesday about the assault of Lesean McCoy’s estranged girlfriend is dominating the Buffalo sports headlines during this slow summer season. It involves a Buffalo NFL star, which makes it a big news story. Even if we really don’t have any idea what happened, whether McCoy had anything to do with what happened or whether it will have any impact on his status as the running back for the Bills. The incident was horrific. Anyone who saw the picture of Delicia Cordon before it was deleted would agree with that. The accusations by her friend towards McCoy are serious, and inflammatory. But we don’t know what’s true. Right now, they are accusations on one side and denials on the other. How Do You Report This Story? That’s what makes this hard to cover for me and Buffalo Sports Page. I refuse to take a side, or wildly speculate. It’s not what I was trained for as a journalist. But that’s hard to do in the world we live in, where opinions are formed and entrenched based on the first social media post. Everyone wants to know what everyone else thinks, which side they’re on. Today, you better have an opinion on everything and you better defend it with all your power. But that’s not how it works for me. Sure, I have my opinions about what may have happened, based on some of the facts released by the police. There is also information released by the girlfriend, and the lawyers for the victim. All of them have an agenda, and it’s hard to determine who’s really telling the truth. Then that all gets clouded by the connection to a star NFL player. So I won’t report or broadcast what I might think. I’ll report the facts, and let you decide. It’s not fair to McCoy or the victim to take a side. Yet. That time will come when more information is available. I will trust the authorities in Georgia to do their professional jobs and investigate the facts. Then I’ll do my professional job as a reporter and base my opinions on that. When Does NFL Get Involved? Where all of this gets even more complicated is when the NFL gets involved. We really have no idea what they use as their burden of proof. It’s not always the law. We’ve seen that. Is just being involved enough for McCoy to be suspended by the league? Will that happen this season? Could he be placed on the Commissioner’s Exempt list, and taken off the field just based on the circumstances? Once it impacts McCoy the football player, then I’ll jump in with everyone else. It may be an old-fashioned approach, but McCoy’s private life and relationships mean nothing to me. Until they impact his ability to be a Buffalo Bills football player. Then it becomes a sports story in Buffalo. I know it’s futile to ask Bills fans to not rush to judgement about this, one way or the other. That’s not the world we live in. But I would caution everyone to hold back until there are enough facts to make a sound decision on how you feel about this. You could choose to never root for him again based on this. Or you could stand behind him even more. That’s your decision. As a media professional I agree with Paul on everything he stated concerning the reports on LeSean McCoy. As a father of two boys that follow the Bills I think differently. I want to take the #25 jersey out of my 8 year old’s closet, but then I’ll have to explain why. That’s too big a conversation for his age, but not for my 13 year old. It’s a conversation that’s not easy, but it is a lesson in learning not to judge, and to wait for facts and conclusions. What allegedly happened is horrific, uncomfortable, and shocking. The optics for McCoy, the NFL, and the Bills are not good. The conclusion cannot come fast enough, but for now we wait and wonder. Your reaction, opinions and observations are always welcome here at Buffalo Sports Page, on our Twitter page or on Facebook.